This article is just one in our 2017 MOOC Roundup Series. 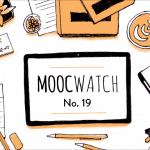 Find the whole series of articles here, and discover everything MOOCs in 2017 — from the most popular classes, to overviews on developments in MOOC platforms, to the future of MOOCs in 2018 and beyond. The results are in! In 2015, Class Central first published a ranking of the best online courses of the year based on reviews from our users. We did it again in 2016. 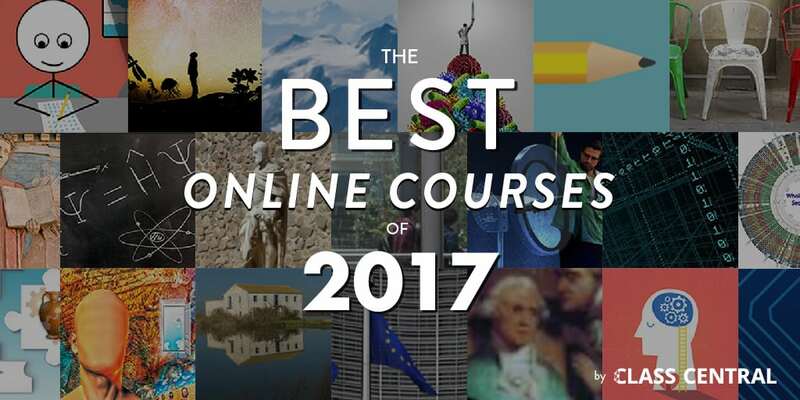 Now we are back with a list of the best online courses of 2017. Like last year and the year before, this year’s list is based on thousands of reviews written by our users. Our methodology is simple. We made a list of all the courses that were offered for the first time in 2017 (which comes out to be over 2000 courses), ranked the courses by the Bayesian average of their ratings, and filtered out the ones with less than ten reviews. As you will see below, some of the highlights of this year’s ranking include: a new course by the team that created Learning How To Learn, one of the most popular MOOCs of all time; a new course from Andrew Ng, one of the founders of the modern MOOC movement; and, for you Italian speakers, three new courses from Italy’s University of Naples Federico, which started offering its MOOCs on the edX platform in 2017. 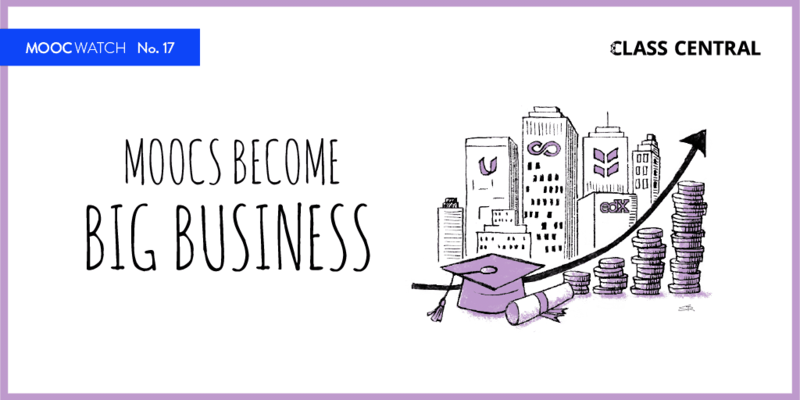 Mindshift is designed to help boost your career and life in today’s fast-paced learning environment. 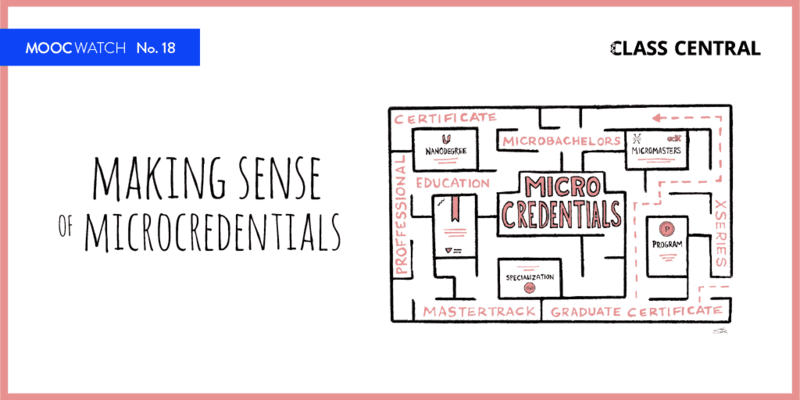 Whatever your age or stage, Mindshift teaches you essentials such as how to get the most out of online learning and MOOCs, how to seek out and work with mentors, the secrets to avoiding career ruts (and catastrophes) and general ruts in life, and insights such as the value of selective ignorance over general competence. Quantum Mechanics for Everyone is a four-week long MOOC that teaches the basic ideas of quantum mechanics with a method that requires no complicated math beyond taking square roots (and you can use a calculator for that). Quantum theory is taught without “dumbing down” any of the material, giving you the same version experts use in current research. This free online course explores how life on earth has been shaped by five mass extinction events in the distant past. At present, biodiversity is facing a crisis, with the prospect of a sixth extinction event today. Learn how our immune system fights viral disease and make better vaccination decisions with a clearer understanding of Cells, Viruses, and Immunity. Beginners course for learners of Spanish that focuses not only on language, but also on cultural aspects, specifically designed for English speakers. Che cosa è la filosofia? Questo corso offre un racconto del pensiero filosofico attraverso quattro epoche da quella antica cosidetta della contemplazione a quella più recente. In this course, we will explore different aspects of good mental health as well as provide an overview of the major kinds of mental disorders, their causes, treatments and how to seek help and support. The course will feature a large number of Australian experts in psychiatry, psychology and mental health research, and we will also hear from “lived experience experts”, people who have lived with mental illness, and share their personal stories of recovery. La Commedia di Dante è una delle opere più tradotte e stampate nelle lingue e nei dialetti del mondo. Un testo scritto nel 1300 che affronta temi ancora oggi attuali, e che può rendere l’uomo del nostro tempo più vicino «a quell’amore che move il sole e l’altre stelle. This economics course is an introduction to basic microeconomic principles. You will learn how individuals make decisions ranging from what type of goods to buy to how many hours to work, and how firms make decisions ranging from how many workers to hire to what prices to charge. ¡Le damos la bienvenida al curso de Introducción a la programación en java por objetos de la Universidad de los Andes! El propósito de este curso es ofrecerle un ambiente interactivo orientado a construir aprendizajes sobre el lenguaje de la programación en Java para la creación y manipulación de objetos. People have become more critical of European policy and often seem to prefer local policy solutions in response to globalisation problems. How do you experience EU policy? Does it help? And if not, how can we change this? In this quantum physics course you will learn the basic concepts of scattering – phase-shifts, time delays, Levinson’s theorem, and resonances – in the simple context of one-dimensional problems. We then turn to the study of angular momentum and the motion of particles in three-dimensional central potentials. Patrick Henry, who helped to ignite a revolution, deserves better. This course will explore how he over¬came challenges to reach the pinnacle of Virginia politics and unite Americans behind a challenge to Britain – the eighteenth century’s super-power, why he opposed the U.S. Constitu¬tion, and why he then came out of retirement to defend the people’s Constitution against the attacks of Jefferson and Madison. La diffusione dell’italiano nel mondo è veicolata da canzone, cinema, teatro, opera lirica, gastronomia, design che diffondono anche per la lingua un’immagine legata alle eccellenze italiane. Questo corso ti guiderà nella comprensione della lingua italiana, nel suo evolversi nell’uso quotidiano ed in rapporto alle diverse funzioni cui è destinata. Este curso lhe dará a base necessária para entender técnicas mais avançadas de controle moderno. Você aprenderá como representar a dinâmica de um sistema no espaço de estados, como analisar um sistema no espaço de estados, como projetar uma realimentação de estado e como projetar um observador de estado. The course will give the learners a basis to understand and be acquainted with WGS applications in surveillance of bacteria including species identification, typing and characterization of antimicrobial resistance and virulence traits as well as plasmid characterization. If you want to break into cutting-edge AI, this course will help you do so. Deep learning engineers are highly sought after, and mastering deep learning will give you numerous new career opportunities. Deep learning is also a new “superpower” that will let you build AI systems that just weren’t possible a few years ago. This course evaluates the medieval history of Toledo from the reign of King Alfonso “The Wise” (1252-1284) until the creation of the blood purity statutes in the 1450s. In the information age, data is all around us. Within this data are answers to compelling questions across many societal domains (politics, business, science, etc.). But if you had access to a large dataset, would you be able to find the answers you seek? MOOCs makers: Please provide online courses same as f2f courses on campus. Plus please outside of first 200 universities of the US do not provide any MOOC . MOOCs have top quality if they are from top schoolsplus same as f2f courses on campus . Othervise we do not want any MOOC . We employers do not hire them . A good free education offered by universities experienced with teaching students unable to get into the top 200 universities is a much valued commodity for which we all should be thankful. I agree with Charley Settles. The little bit that I have checked out on MOOCs tells me it is a great idea that must not disappear. If people can get good, and FREE, training and some employers do not like them, those employers have the choice not to hire MOOC students. We should be thankful for free education by good lecturers. You don’t like MOOC students, you don’t hire them. FREE?…and people still complain? Regards, Aurifex Praetor. I would hire a MOOC student. It tells me they have drive and initiative. A few years back we were doing a major upgrade for a branch/site I was managing, the PM and myself encouraged my then tech team to pre-study the major components of the system; my team did this via a combination of company specific training and MOOC’s. A lot of the quality information / training was not being provided by top universities, which begs to question, what are the top universities sometimes really teaching. Are they teaching practical usable materials that can be applied to real world careers. I also agree with Charley, I am incredibly grateful for all the MOOCs offered – yes, some may be better than others, but the option to take them is what is so important. Excellent teachers can be found in many places. As for hiring, I have hired many people in different positions. I try to find out what they actually know, not just where they went to school or what department they were in. 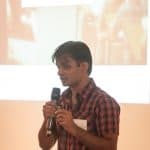 A MOOC student who is committed to learning will do well and has already exhibited the traits of initiative and willingness to seek out information wherever it can be found. I think we must all realize (and its already becoming apparent) that MOOCs will cease being free after some time. This is natural considering the high cost to produce and operate MOOCs. The gap that must be made (and it will be) is on how MOOCs translate into formal certifications that the industry and academia will recognize to be as good as the current pieces of paper that only Universities can award. They may still be free to examine But if the certificate will get you a job you should pay for it. I like that idea. So how would you implement this. Let the student take the course AND the exams at no cost, then give them a ticket number to get the certification. They can tell their prospective employer they took these courses and the prospective employer has to pay x to actually get the certificate and that reimburses the schools? Or how would you do that? Fortunately development + dissemination by internet does not cost too much . Development of a 10 week 3-credit course is about $ 50.000 with openedx software may be less . Just imagin you will multiply these figures by thousands courses , at no additional expense . .
Now Georgia Tech charges $ 700 per course for its master degree courses . As a start OK .
One condition courses must be same as f2f courses same quality and content . BUT PLEASE ONLY FIRST 200 or so quality universities . Straight lhtml ists of the 1000 courses in your set would be nice. There are so many and some are simple, or in a language we don’t know (yet/well). Sad to see Moocs go away. I expect that some will be archived for decades though. ONLINE Degree Programs by top 200 universities same as f2f degree programs. See afford by Georgia Tech, MIT, Uni of Illinois, State University of Arizona . I hope it will accelerate . BE CAREFUL . Online is a tool of delivery . It has nothing to do with the quality of education . It just makes an education delivery more efficient and at less cost . Education is good or bhad it does not matter . Look up for profit schools . They made huge money out of online . It is nice to see many comments regarding online education . ONLINE is just a delivery method, just a TOOL . It has nothing to do with the quality of education . Quality of education is the quality of content, knowledge, experience .That is high quality university . There are roughly 4.000 colleges and universities in the USA with 20 million enrollment . 80 State universities plus 80 private universities enrollment is close to 5 million with students whose SAT scores are more than 1.000. To me 160 , well say 200 or even 250 universities are worthwhile to go to . Rest is not worthwhile to me . Today there are 50 million BA degree holders in the USA . 25 million of them are accumulated in 20 years as underemployed, that means they earn high school graduates salaries . Where do you think they graduated . ? 3.800 or so not so good colleges and universities . You can argue with me number is 3.700, 3.500 even 3.000, but still it is a big number . High quality schools are expensive . People cannot afford it . As an engineer I defended technology . I have been dedicated to online education for the last 22 years . For profits school with online ruined the education in the USA for 20 years .Only good attempt was MIT in 2001 as Opencourseware project . It was very close to online . I begged at that time MIT to include some videoes and multimedia, simulation, interactivity making it online courses . They did not at that time but DID in December 2011 with Electronic Circuits 6.002 online course free. 160.000 registered 7870 or so graduated and got certificates . Highest grade belonged to a Mongolian 17 year old boy . EDX, Coursera, Future Learn main ones plus small ones followed .Today there are 800 universities providing 10.000 online courses without any control whatsoever . Only EDX is very careful to select good school . Some are bad, some are just good , some good , some excellent . Look up University of California San Diego Online Course ” Learn how to learn ” 2 million students enrolled . Vow . Therefore I say I care for and hire also only MOOC certificate owners who attended a high quality school . And there are since it was free. Now some ID verification fee applied . So you cannot claim that you did not have money therefore you went to a second class cheap college . Just go to top university and get your certificate if you can . Then I hire you . Please understand . My dream solution is let those 160 universities provide online degree programs same as f2f programs at 80 % reduced tuition ( Georgia Tech has done it 80 % reduced tuition for master program online ) and register about 10 million online students . That is good enough . Development of online courses are very very low now . See MIT’s openedx.org software to develop online courses free . Delivery is also very low 50 cents per student per year . High quality education at low price . Not only to USA but to whole world .